StyleBee is a mobile booking app that connects hairstylists and other wellness professionals with upscale clientele for on-demand, at home appointments. To appeal to the high-maintenance, working professional target audience, we created a charasmatic, chic, driven and considered brand led by the story, “Your lifestyle demands.” The visual communications combine high-end aspirational luxury with approachable warmth to create a look that is sophisticated, carefully considered and strikingly beautiful without ever coming off as cold. We delivered a full identity system, key screens for the mobile app and website, an animated loading screen, print collateral and layouts for social media. 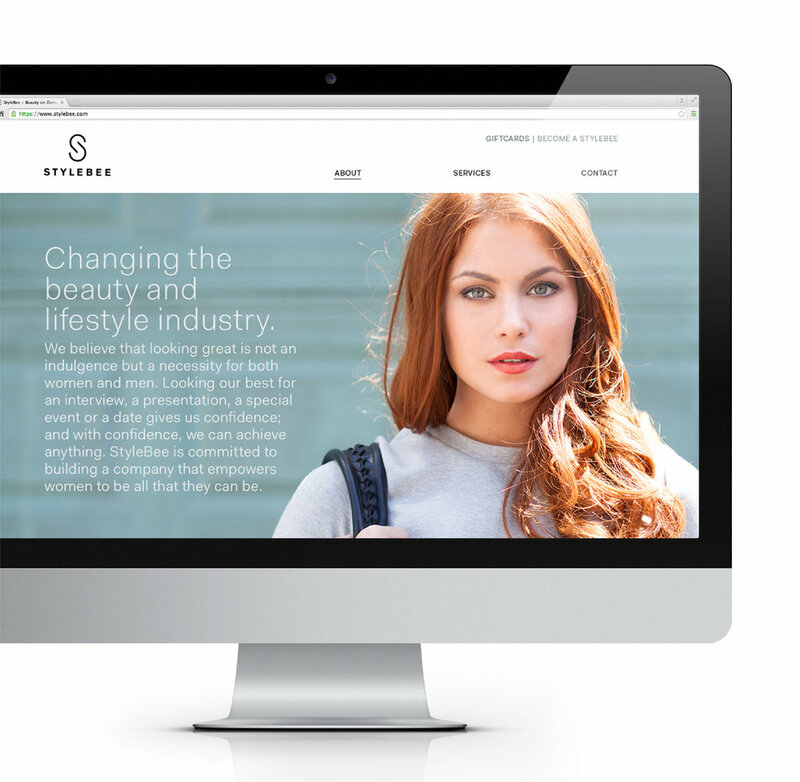 *I worked with Moving Brands on the strategy and complete visual identity system of StyleBee. I continued to work with StyleBee under my own company, Ethera, to build out the website, continue with the mobile app design and produce photoshoots.